of an extra building there for setting up various offices under the education department. Notably, administration earmarked the land,which is presently within the premises of the PTTI in Kalimpong. Demanding proper utilisation of the vacate land, the PTTI principal Manindra Bhujel today submitted a memorandum to the new Kalimpong district magistrate Dr Viswanath through Sadar sub divisional officer. After submitting the memorandum, Mr Bhujel, while addressing media persons in Kalimpong today,said the Kalimpong government. 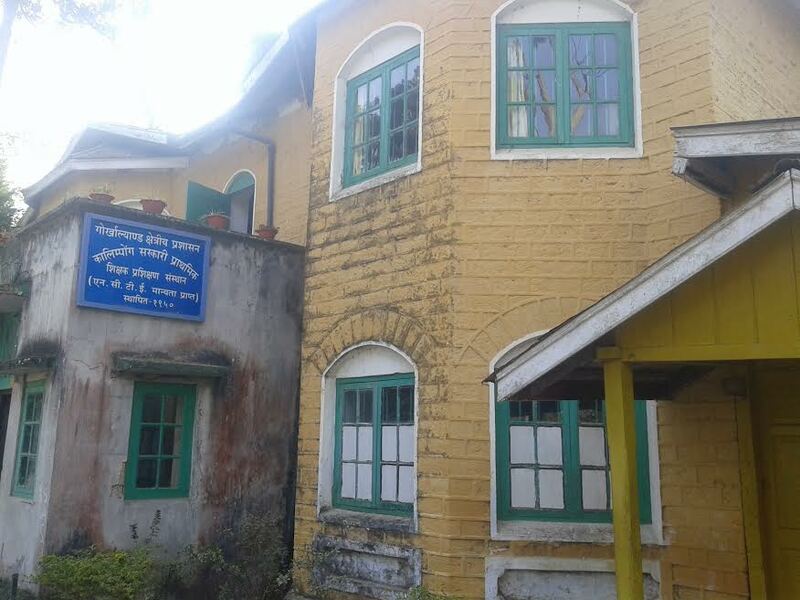 PTTI,which is situated with the Ringkingpong Road (Chandralok),Kalimpong, is one of the oldest Teacher's Training Institute, which was established in 1950 and has 12.00 acres of land without a boundary fencing. He added,"With the declaration of Kalimpong as a new district,PTTI was also identified for the establishment of administrative and other purposes,but as so far utilisation of Institute's land is concerned,we have some facts and proposals before the administration." Bhujel said PTTI is an educational unit transferred to the GTA and currently is under the Education Department, GTA. There is a proposal to upgrade PTTI as DIET (District Institute of Education and Training) since 2005,and resolutions have already been adopted for the purpose by SCERT and Department of Education, GTA. 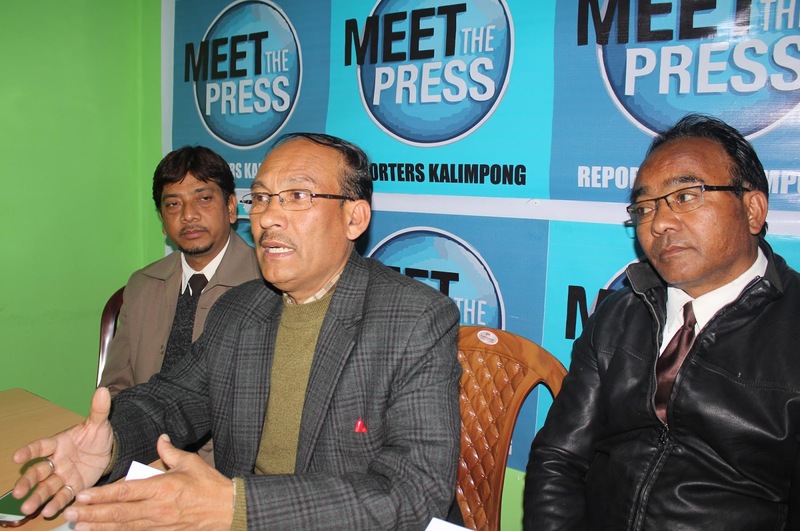 "Therefore, a large land is required for the upgrade to DIET,where there will be more than seven different departments under it.With declaration of Kalimpong district, the process of upgradation of Kalimpong PTTI should be given top priority," he said. Mr Bhujel added, "We want the PTTI land to be used to set up offices for educational purposes.A separate district needs separate DPSE (District Primary School Council).Therefore,Office of the DPSE, should be established PTTI.Separate district needs Office of separate district inspector of schools both for Primary and Secondary education as well.Therefore, we have sought the PTTI land be utilised for the establishment of office of the district inspector of schools,both for primary and secondary. 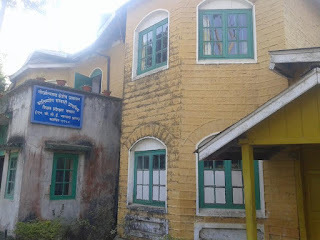 Office of the sub-inspector of schools (primary) of Kalimpong Intensive Circle can be also established on this land." Mr Bhujel said NCTE (National Council for Teacher Education) has issued New Regulation (NCTE new regulation,2014) and under these new regulations each and every Teaching Training Institution should have provision of composite course i.e. training for both D.El.Ed. (for Elementary level teacher)and B.Ed. (for the secondary school teachers) under one university. "Therefore,we have want the land to be utilised for the expansion of B.Ed.College as per NCTE norms, otherwise NCTE may withdraw recognition of the institute any time if the conditions are not fulfilled," Mr Bhujel added. He informed if land of PTTI would be utilised for the different educational establishments, it will be better for co-ordination among different educational agencies for betterment, speedy and systematic educational development of the new Kalimpong district. The memorandum has been also sent to SDO and MLA Kalimpong and heads of different political parties. 0 Respones to "PTTI DEMANDS LAND BE USED FOR EDUCATION DEPT"